December has arrived which means that you are officially allowed to get busy with your diary and fill it with as many fun plans with friends and family as you can possibly manage. Something you should definitely include in your diary this festive season is the Christmas Party Nights at Gusto on the Newcastle Quayside. There are two nights to choose from. Andy Usher trio - 3-piece acoustic band on Tuesday 6 December (booking and details here) or Glen R Does Swing on Tuesday 13 December (booking and details here). Tickets cost £35 per person which includes a three course Christmas meal or tickets at the bar are £10 per person which includes a drink. I popped to the Quayside restaurant with Sam and Katie for the first of the Gusto Christmas Party nights, Rob Lamberti, George Michael Tribute. Officially declaring the start of Christmas 2016, we were in the party mood as soon as we spotted the beautiful Christmas tree in the doorway and admired Gusto's Christmas makeover. With the booths and tables decorated in baubles and foliage things have certainly taken a festive turn and the restaurant looked beautiful. There's a variety of seating options available for the Christmas Party nights with long tables for large groups, snuggly booths for smaller groups of friends, romantic tables for two and plenty of tables upstairs for those that prefer a slightly quieter night. The three of us were the perfect fit for a booth and we happily settled ourselves in for the night. With food served from 7:00pm, the Christmas Menu at the Gusto Christmas Party nights is small and perfectly formed with some beautiful festive dishes to pick from. Resisting the tempting offer of Peppered Mackarel Crostini and Smoked Duck Salad I chose the Roasted Red Pepper and Tomato Soup served with oven baked focaccia. 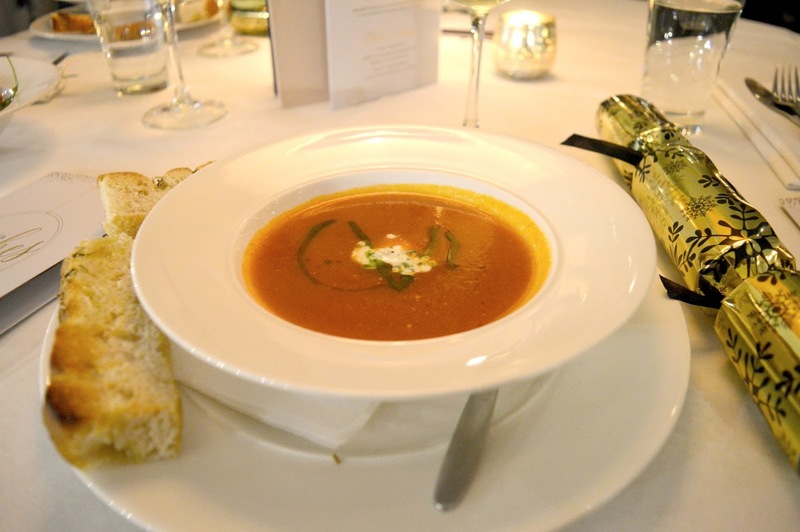 The perfect Winter warmer I can think of no better way to start a festive menu. It was delicious and my bowl was left completely spotless. 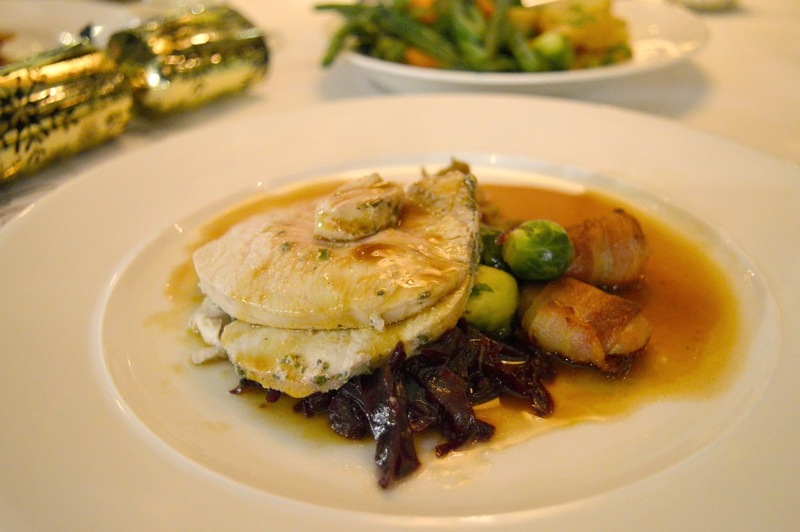 For those that get fed up of Turkey over Christmas there are three alternatives on the mains menu with Slow Cooked Beef Daube, Baked Fillet of Salmon and Artichoke Tortellini. For me there's only ever one choice, I make it my mission to eat as much turkey as I possibly can over Christmas! My Roast Turkey was served with braised red cabbage and pine nuts, sprouts, sausage wrapped in pancetta with red wine sauce and stuffing and there were roast potatoes, buttered carrots and green beans on the table to share. The turkey was perfection and I was so happy it was served with all of the trimmings. I've had a lot of Christmas meals in my time and this was one of the very best Christmas dinners I've ever been served in a restaurant. Of course no Christmas menu is complete without some indulgent desserts and Gusto didn't let me down. I was tempted by the Apple and Blackberry Crumble and Christmas Mess but in the end went for the Chocolate and Ginger Tart with vanilla Chantilly. Ginger and chocolate is such a beautiful flavour combination for Christmas and if you're going to Gusto this festive season I urge you all to give it a try. 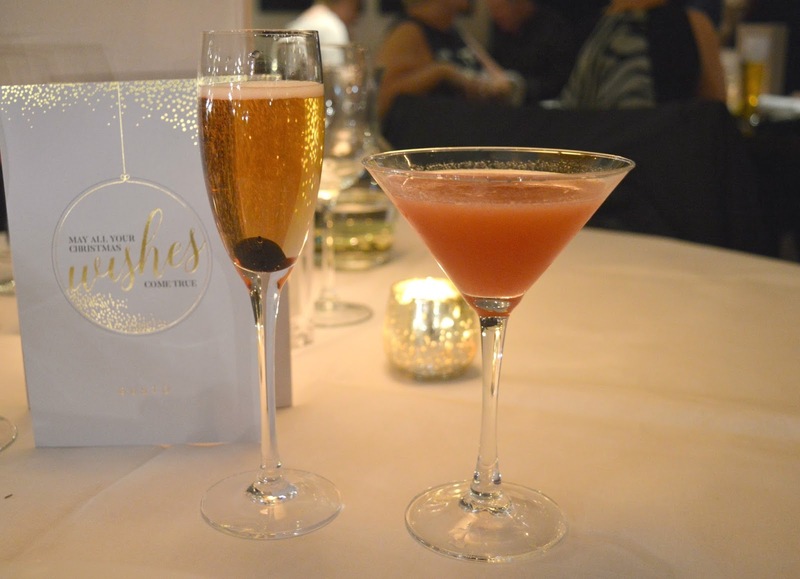 With plates clean we turned our attention to the Cocktails, Treats and Tipples Menu, featuring 6 specially created Christmas cocktails each priced at £7.50. I chose the most Christmassy drink I could find, A Kiss Under the Mistletoe - Ketel One vodka, Disaronno, lime juice, almond syrup and a little bit of cherry preserve. I was very happy when Sam ordered the other cocktail that I had my eye on, the Gingerbread Fizz - Gingerbread, Disaronno and Prosecco. Despite loving gingerbread I'm not always a fan of it in drinks so had decided that this one was a bit of a risk for me. Taking a sip of her drink I had immediate regret, it was sweeter than I expected with a slightly hot ginger aftertaste - absolutely beautiful! At 9:00 pm it was showtime as "George Michael" took to the stage. The atmosphere was fantastic as he sang his way through all of the biggest hits including plenty of old classics from the Wham days. For those fancying a dance there was plenty of space in front of the stage and for those preferring a lazier evening we happily sipped our cocktails whilst swaying in our seats and having a sing-along. Live music nights at Gusto are always so much fun. 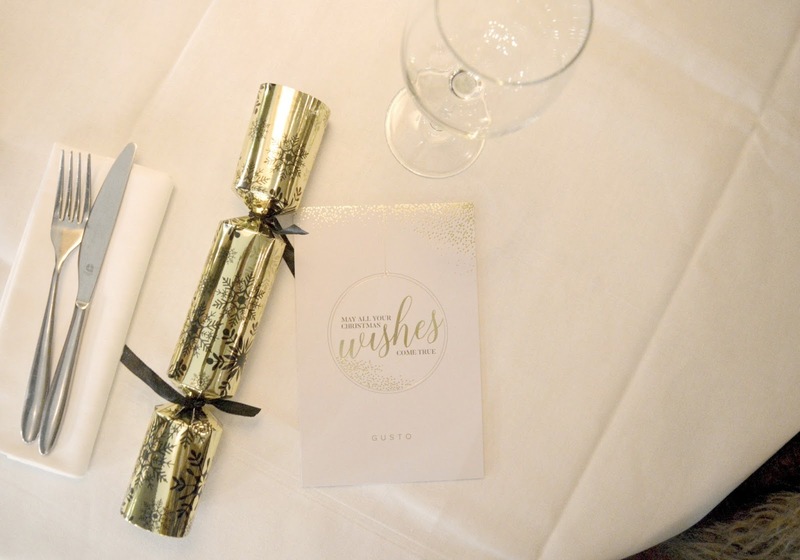 If you don't really fancy a Christmas Party Night but still want to enjoy the Gusto Christmas Menu they are also serving it as a Christmas Lunch (2 courses £19.95, 3 courses £24.95) or a three course Dinner (£32.95). 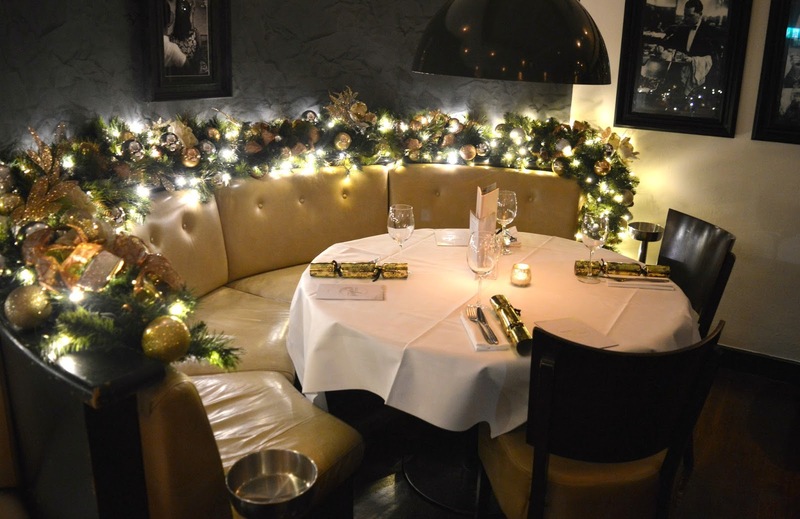 If you're planning a festive treat I highly recommend booking a table. 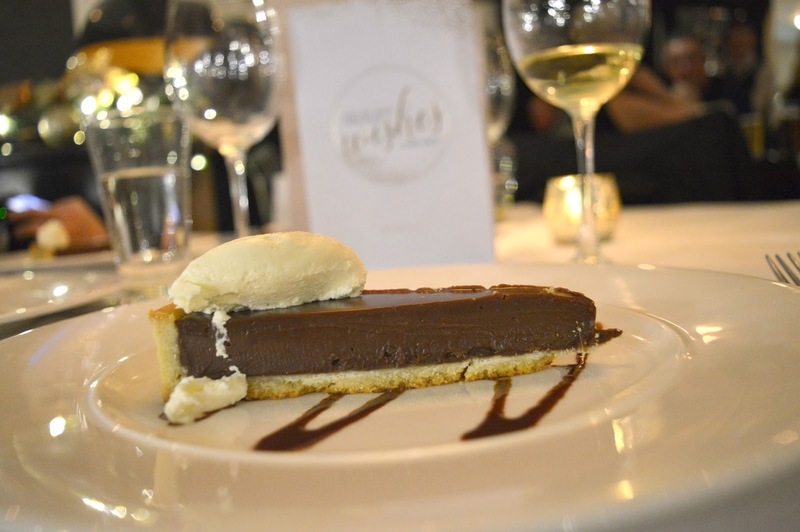 As brand ambassador for Gusto Newcastle I received complimentary food and drink in return for this review. All thoughts and opinions are my own.